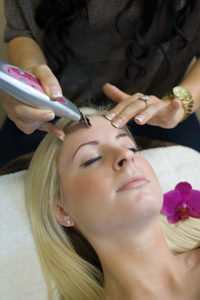 CLICK HERE TO LEAVE A REVIEW FOR CORAL TREE SALON AND DAY SPA. I absolutely ??. I have gotten mail services here. Hands down amazing. The massage service is next to on my list. Beautiful setup and very comfortable. All the women there are extremely nice and pleasant. Amazing salon. Here for a bachelorette party and Sarah the massage therapist was fantastic! Best massage I’ve had hands down. I highly recommend her! Cute decor and very relaxed atmosphere. Just moved here looking for a new salon and stylist! It was beautiful and relaxing on the inside and everyone was very welcoming. Maria did an AMAZING job on my hair, as I went in for a drastic change in cut and colored my hair for the first time! I couldn't be happier with my hair! Thank you for a great experience, I will definitely be back and will be recommending your salon to family who moved down with us! Husband had a haircut by Jodi and did an excellent job. As all the girls do I've been on several occasions had had my hair done by Jodi and Brandy and loved it every time. .Planing a best friends day to do manicure and pedicure. We found this wonderful gem of a place for my daughter's wedding at ?Ocean Isle Beach!! I can't say enough about how happy we were - all of the bridesmaids looked so natural and beautiful and my daughter, the bride, was glowing! Brandi did a beach wave and braid that was exactly what she wanted and her makeup was perfect. Even after all of the girls were done, she went back, touched up their curls again before we left! I wish that I could remember everyone's names !! Thanks to all the staff at Coral Tree and Brandi! Perfect place to spend a rainy day at the beach on a girl's trip! I had pedicure and ionic detox with April who was awesome! Three girls had massages and two others had ionic detoxes and very pleased with all services! Highly recommend! Brandi handled the hair for myself, my mom, & sister today for my wedding and she was wonderful! Sarah did my make up and it turned out amazing!!! She is a phenomenal make up artist! Thank you both for making my wedding day flawless! © 2019 Coral Tree Salon and Day Spa, All Rights Reserved.